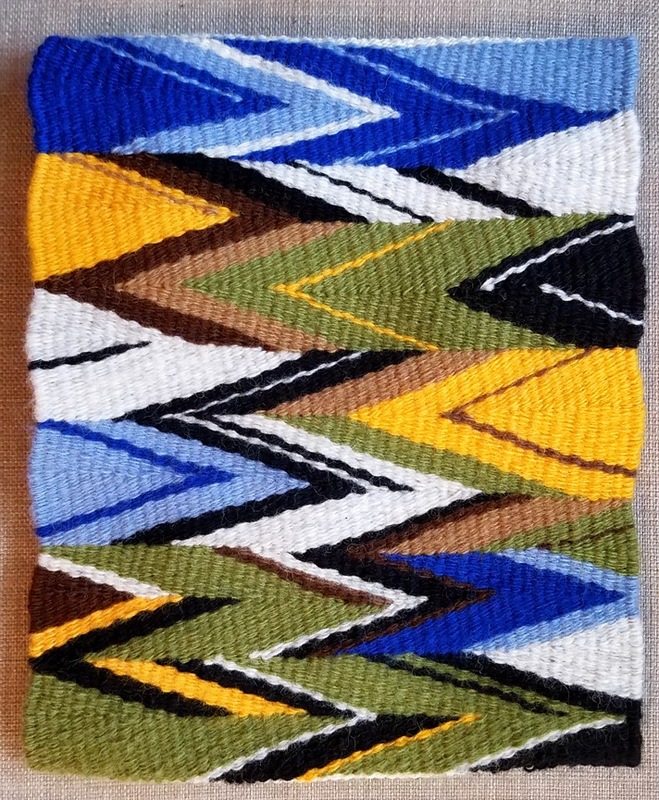 Inspired by the colors of the winter grass (golden), snow and sky of Iceland, and Diné (Navajo) wedge weaving of 1870-90. Commercial wool warp & weft. 11x9 inches. From the Symbols Tell the Story series. ©2018 Jeane Vogel Studios. Available.